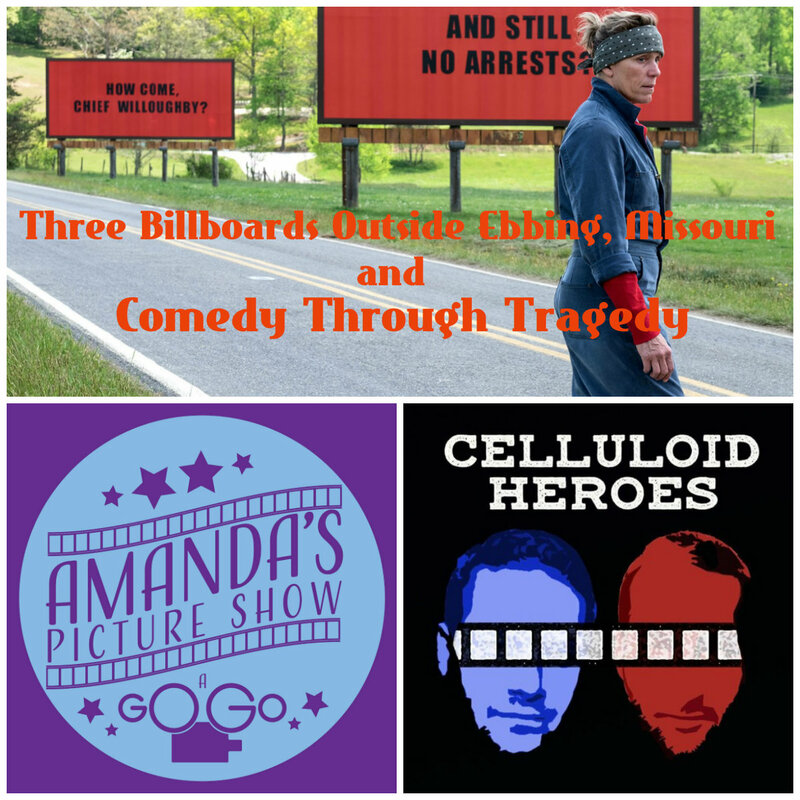 We attempt to laugh through the tragedy that is this podcast and to do so we have just the pick-me-up in Martin McDonagh's new film THREE BILLBOARDS OUTSIDE EBBING, MISSOURI. Hosts Jessi Lauren and Michael Denniston discuss this great Frances McDormand starring film along with recommending some great podcasts on the subject. In AMANDA'S PICTURE SHOW A GO GO the balance between comedy and drama is praised in summer hit THE BIG SICK and on CELLULOID HEROES the hosts bring back MARK AS PLAYED favorite in the hitman romcom GROSSE POINTE BLANK. So don't be afraid of the darkness in this episode as we eventually get around to first date horror stories which is something that everyone can point and laugh at.